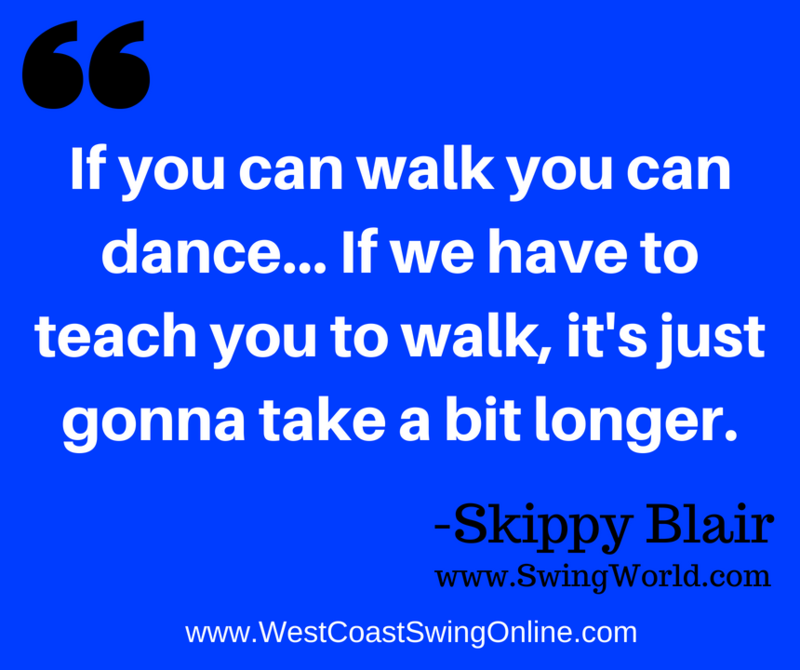 Born March 15th 1924, Skippy Blair says "I never remember a time in my life that I wasn't dancing. My mother liked to go for a drive Sunday evenings. At age 3 I remember dancing in the lights in front of my mom's car. I always thought I must have danced in another life because I don't know where the dancing came from. I've just always done it." Skippy started swing dancing at the Steel Pier - Atlantic City, NJ back in 1938. She's been training a who's who list champion dancers & teachers since 1958 including 11-Time US Open Classic Division Champions Jordan Frisbee and Tatiana Mollmann. 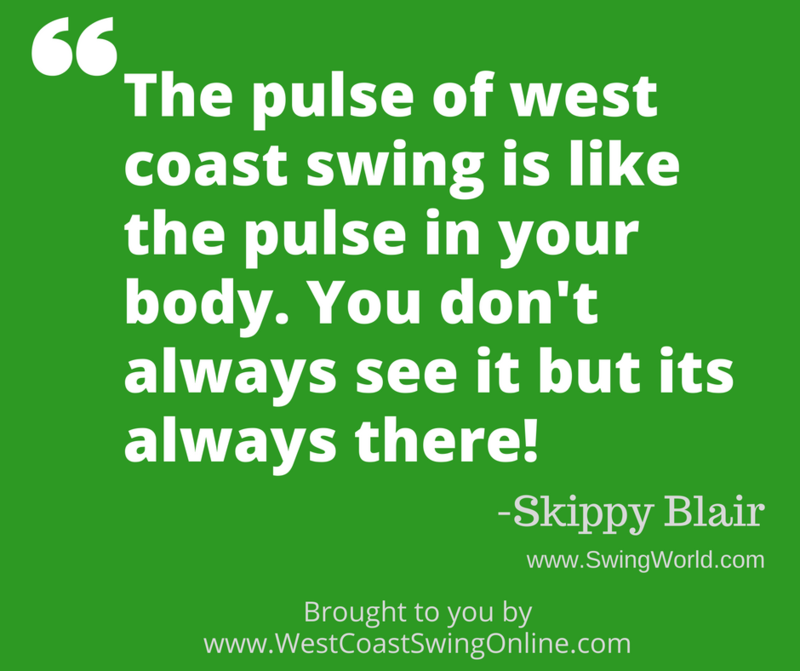 Did Skippy name West Coast Swing? "I remember the editor of the press telegram in 1962 asking is I was going to renew my ad for 'western swing' and I said no. I didn't get one student from that ad. 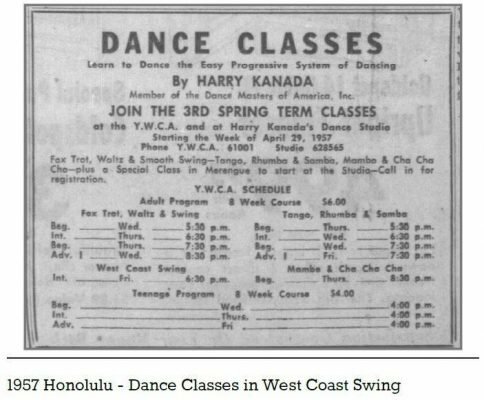 So we decided that we weren't going to get people for something called 'western' in the town of Downey CA so we decided to try the name west coast swing." 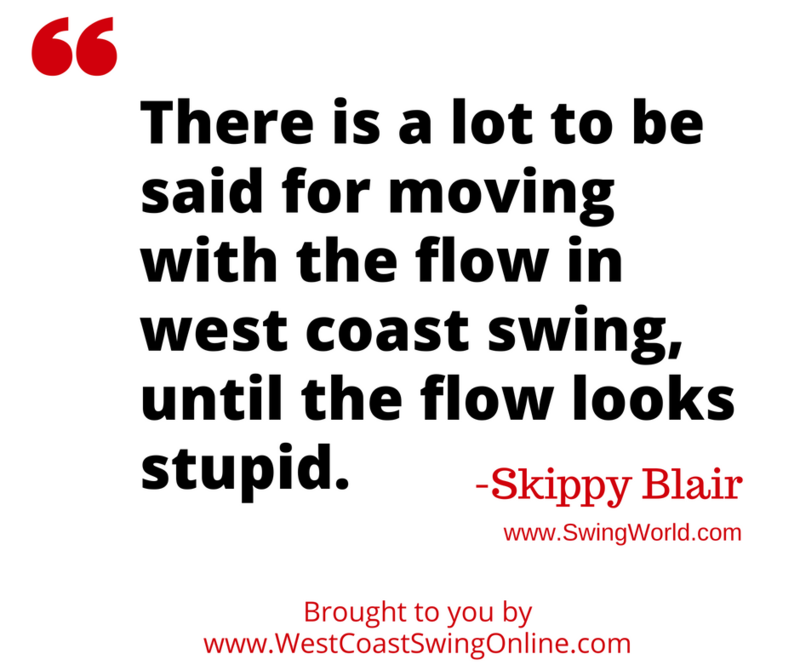 It's largely been know as west coast swing ever since. 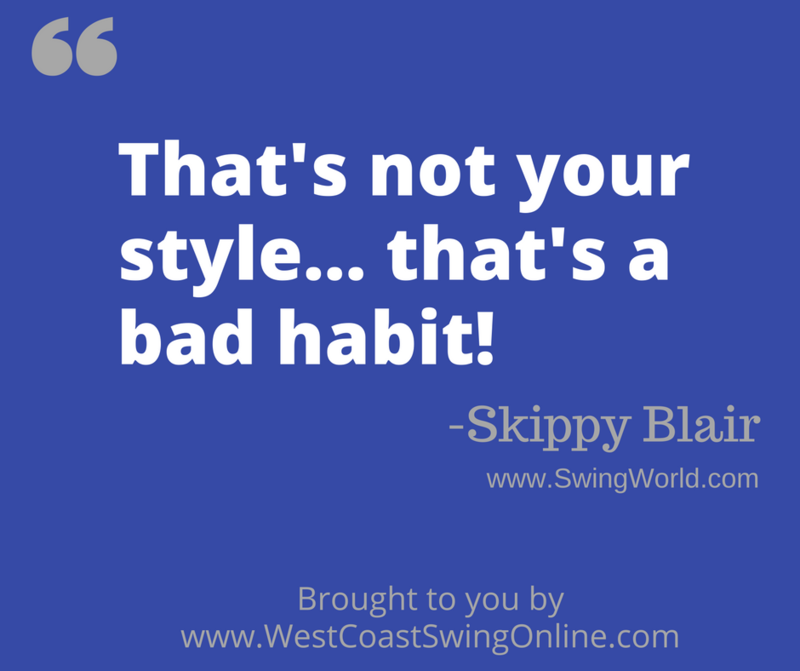 She was the co-founder of the WSDC World Swing Dance Council in 1993 which governs west coast swing jack and jill competitions to this day. 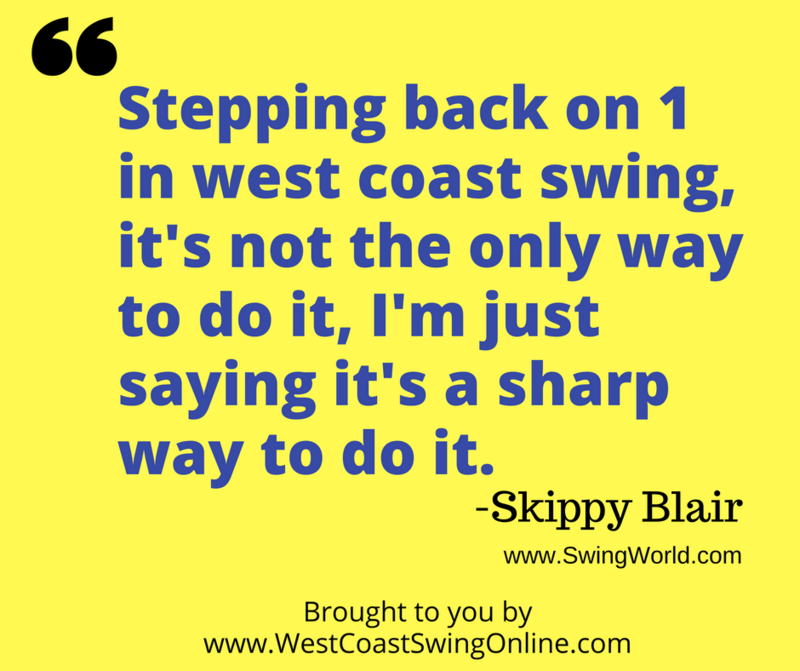 Skippy was one of several people who helped west coast swing become the official state dance of California in 1988. 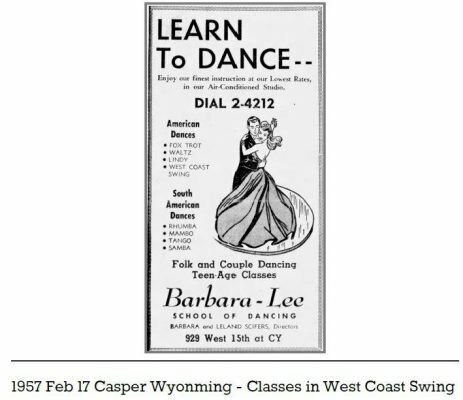 This was a difficult project as California already had 'folk dancing' as a state dance. 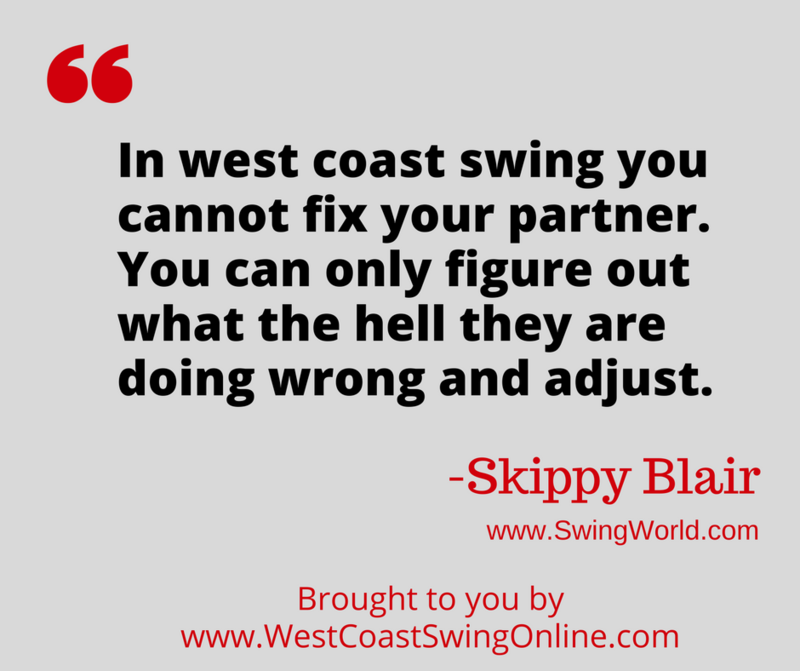 A team of several people were able to successfully lobby to include west coast swing along side folk dancing as the state dances of California further cementing it's place in the history of California dancing. Skippy created the Universal Unit System® It is a system that includes 'unit cards' that are a valuable teaching aid. Their visual presentation during a lesson is helpful in getting the students to remember the rhythm patterns of the dances. 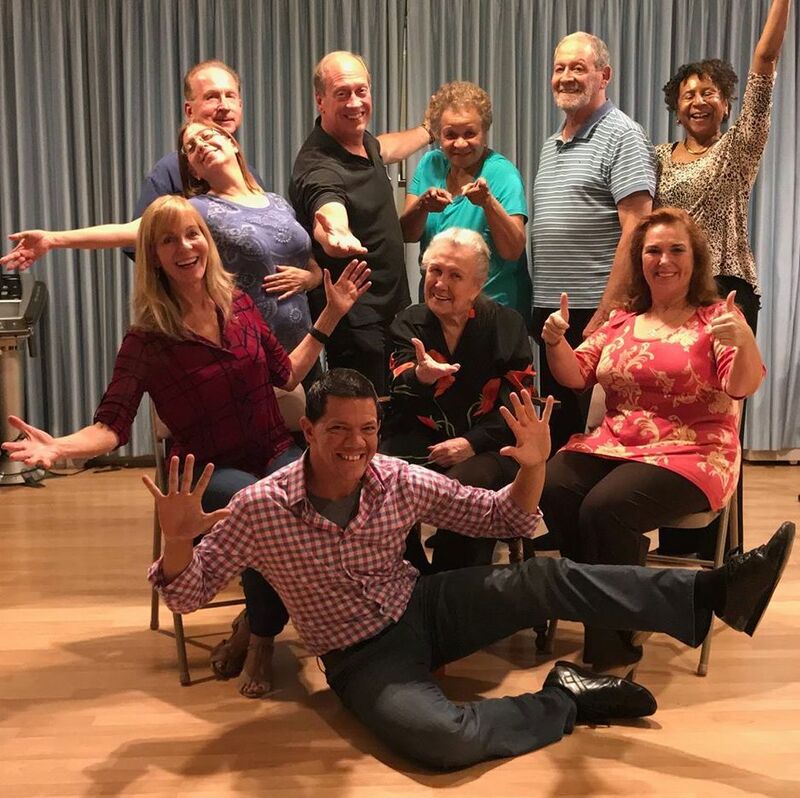 "Musicians have sheet music and dancers had the Universal Unit System®"
Skippy also founded the Golden State Dance Teachers Association which has been Conducting National Dance Teacher “Intensives” since1974. Over 3000 dance teachers have passed The GSDTA Teacher’s Certification! In 1994 she was inducted into National Swing Dance Hall of Fame. 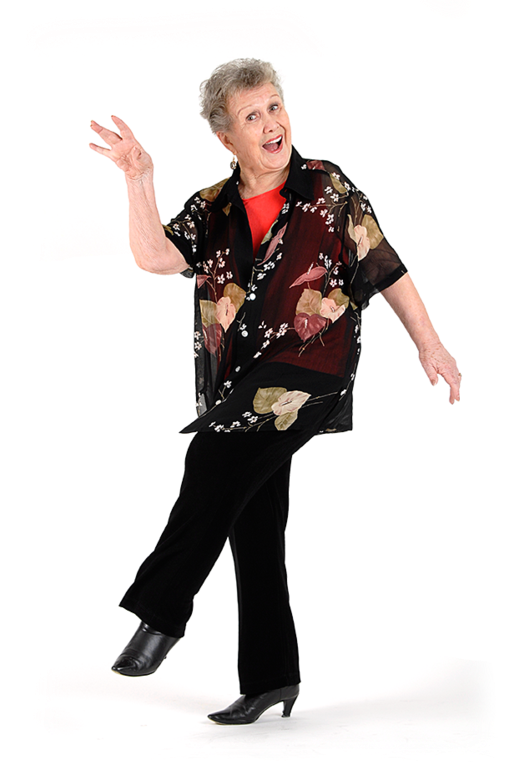 She has created 14 Instructional Videos and authored seven books in her lifetime – Disco to Tango & Back, Dance Power, Dance Terminology Notebook, Dance & Grow Young, and Pathway to Dance Excelleration. In 2018 at the age of 94, having taught Dance Certification Intensives for over 60 years, Skippy is still writing new books, papers and new music. "As long as I'm here I'm going to continue to contribute"
Appeared in Movies - Queen of the Stardust Ballroom - Tales of the Hollywood Hills plus many Movie Pilots. She was the choreographer for 12 years for TV shows including Al Jarvis “Let’s Dance” - Bob Barker’s Truth or Consequences & “Barker’s Varieties” and Kastles in the Air. Watch Skippy's "Dance your way through life" video below. When asked what quote should be in every dance studio? If you could put one sentence on a billboard what would it be? I’ve had the pleasure of spending time twice with Skippy. 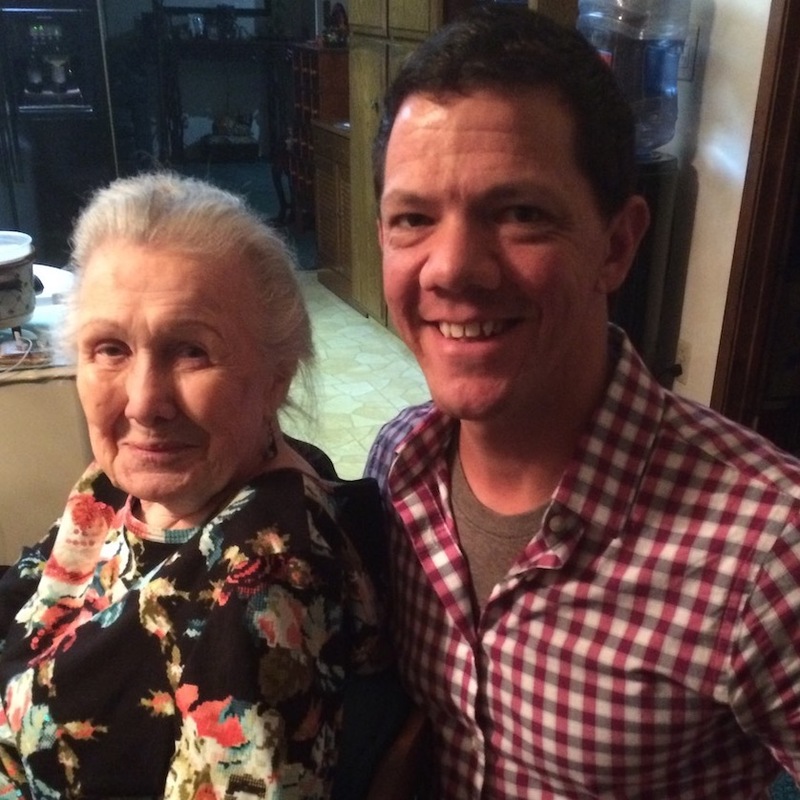 The most recent trip in March of 2018 I was able to spend 6 hours with Skippy at her house in Downey CA. We discussed many topics that day. 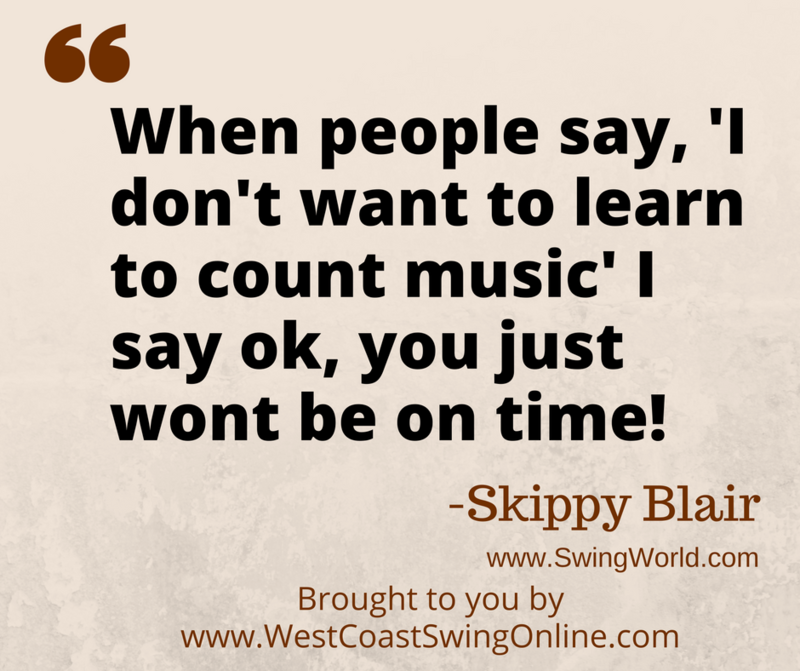 Skippy was very particular about 2 topics, the first lesson of WCS and Rolling Count. She has spent decades upon decades studying dance. Some of her discoveries get lost in translation over time. To remedy this, she graciously provided us with some resources so she can share the concepts in her own words. Below are links to articles that she share with me personally so that I may share them with you! Some insights on the importance of the first lesson of WCS. How to understand and practice rolling count. The discovery and understanding of rolling count. A short paper on how this technique makes better dancing. This paper contains 8 helpful tips to improve your understanding of rolling count to improve your dancing. Rolling Count – Body Movement at its best! This paper includes 13 statements to the most popular questions about rolling count. Want some of my best WCS videos FREE?